The University of Iowa, located in Iowa City, Iowa, is an exciting yet relaxed community of over 60,000 people located on the scenic Iowa River and served by most major airlines at the nearby Eastern Iowa Airport. The Mathematics Department provides a friendly and intellectually stimulating environment for the study of mathematics. The department received numerous awards in past years: the NSF VIGRE award, the national Presidential Award for Excellence in Science, Mathematics, and Engineering Mentoring and the American Mathematical Society Exemplary Program award for 2008. Additionally, our graduate program was one of two nationally receiving the American Mathematical Society award—Programs that Make a Difference. 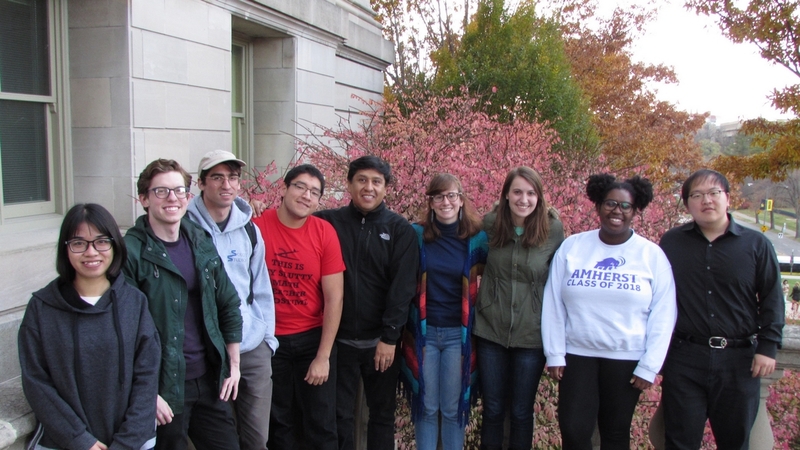 The diverse student body is comprised of over 100 graduate students, almost all supported by fellowships or assistantships. Click here to see group photos of recent graduate classes, or visit the Graduate Student Directory to view individual graduate portraits. Currently, over 20% of students enrolled are U.S. minorities and over 30% are female. Domestic students come from all regions of the United States while foreign students, constituting about 30% of students enrolled, come from diverse locations around the globe. The department is extremely proud of its students and their accomplishments. Our TAs have regularly received university wide Outstanding TA Awards. In past years a few students have been awarded the Graduate College Spriestersbach Prize. Moreover, graduates of the department have a 100% job placement record. 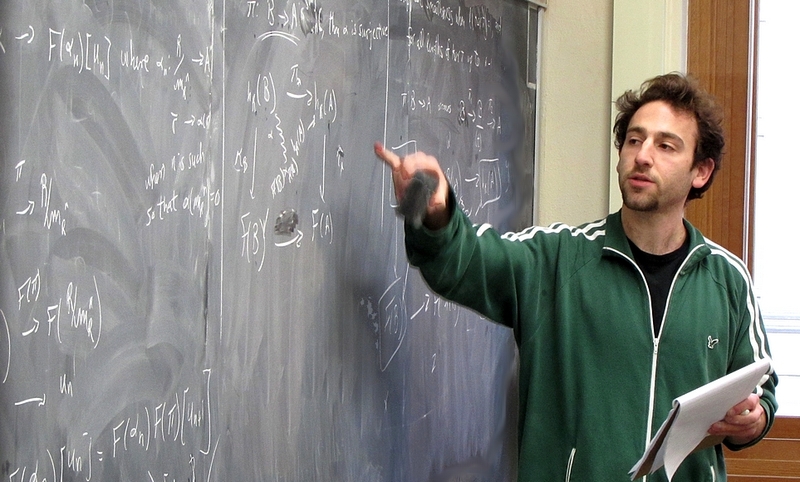 The department has 30 faculty members whose research interests include algebra, algebraic topology, analysis, differential geometry, functional analysis, knot theory, low-dimensional topology, mathematical biology, mathematical physics, number theory, numerical analysis, operator theory, ordinary and partial differential equations, representation theory, and ring theory. There are two distinct programs for graduate study in mathematics at the University of Iowa: the traditional program and the Applied Mathematical and Computational Sciences (AMCS) program. The traditional program offers coursework and research in pure and applied mathematics leading to either an M.S. or Ph.D. degree, whereas the AMCS program allows the student to pursue in-depth studies of an allied scientific field while simultaneously studying graduate level mathematics leading to a Ph.D. in mathematics. A master's degree is not offered in the AMCS program. The University of Iowa was founded on February 25th, 1847.